International Field Reports Had a great time around the world? Tell us about it here! Thanks again, hope you got the receipt from the cashier,hehehe...i hear that there will be new packages coming out soon during April. Hopefully not too highend. Do keep me posted again. I'm heading there later, may update u again when situation allows. Going to look for that 700k girl again...quickie! For bros who were planning to go Batam on a Day Trip or a 2D1N, can try this Zest Hotel. 3. The amount w/o the code is about 370 000 rupiah per night with breakfast,walk in is about 375 000 rupiah. 4. After the code, its 314 500 rupiah (sometime even lower than that or can be a bit higher). For bros who wish to stay 2 nights or more, there is currently another new promotion. 3. Price should auto comes to 570 000 rupiah for 2 nights. Meaning each night is only 285 000 rupiah. Comes with breakfast. 4. But if you are staying for 3 nights, one needs to book 2 nights 1st then use the promo code of BOOKDIRECT for 3rd night. 1. 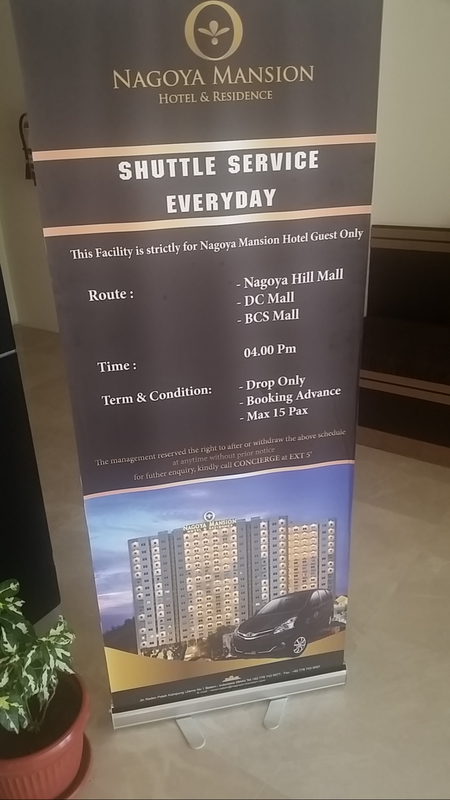 Taxi fare is free shuttle service provided to the Nagoya Hill Mall (base on their schedule). Will need to talk to receptionist as its not displayed on the counter. 2. From Zest to most parts of Nagoya area, taxi fare is 35k rupiah,in case if you miss their scheduled trip. 3. For very short distance up to Planet Hotel or Pacific hotel, fare is 25k rupiah (i would choose to pay them if weather is hot or when its raining). that's the problem there lor. the "local" drivers are so used to the high fees we pay for the transportation there they can don't do much and tag around with you just for the few trips you travel out and have enough for the day. The mere presence of Grab or GoJek threatens their livelihood of lesser trips/more money per day. 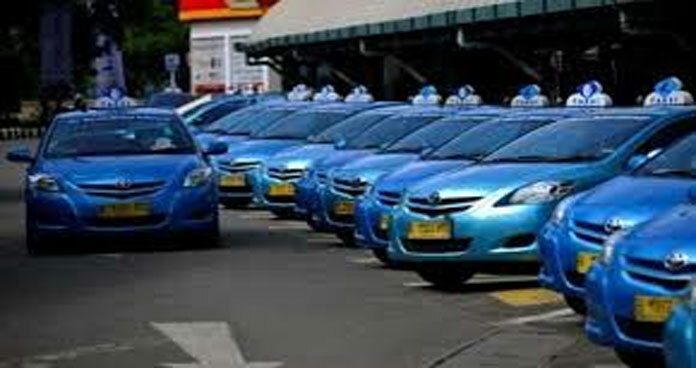 Much often, i would look from the perspective of both Local Touting taxis, GoCar/Grab drivers as well as Silver Cab and Blue Bird taxi drivers. And they are usually quite contradicting if its being look at from only one angle view. Lepak one corner and smoke till you are done with dinner also can. Cause x3,x4 gojek/grab prices. They are mostly part timers. Most of them can live w/o being a Gocar/Grab drivers. They only go to customers at their convenience. Its easy job, pick up, drop off but need to do it all at the right places. They are full timers too. I think they are the most poor thing among the 3 lot, often squash in between Grab/GoCar companies and Local touting taxi drivers. How many of us actually uses them here? Their pricing were metered and traveling cost is about between GoCar/Grab's lowest and Local Touting taxi driver's highest. I do put some thoughts on this too - If GoCar/Grab taxi driver's non-driving full time job were threatened, how would they feel? They might probably become mad too. Just like the Local Touting taxi drivers whose full time job were "taxi drivers". Then again, playing hooligan and resorting to violence isnt the way out as it really piss off tourist like myself. The solution i could think of is blending into the market pool of online taxi apps companies (Grab/GoCar) whereby the Local Touting taxis still gain the edge since they were operating full time. They can join Grab/GoCar and try to pick up all "S$2,S$5 and S$10 notes on the floor". Laziness (Sloth) is a sin. If one choose to play lazy yet expecting to earn more, then i think its not fair. Few trips ago, i took a Blue Bird taxi when i order for a GoCar. If there is no Local Touting Taxi and ONLY Blue Bird/Sliver Cab taxis and GoCar/Grab left, end of the day end-user will still suffer too. Just like the current Sillypore situation whereby no group/s will stand out to spoil the market for everyone else. Taxi companies will increase their price as and when they wish to. I read bro Blackpage's FR, he pays 50k rupiah (no bargaining or haggling at all) for taxi from Harbour Bay to anywhere in Nagoya some 7 years back, today he is still paying the same. Trying looking back how much was Singapore taxi fare around 7 years ago and then compare it with today. Will bro Blackpage still be paying 50k rupiah in the years to come? (make a guess) Hehehe...and what is the price for Sillypore taxi fare in the years to come,especially when GST is set to go up soon? Anyway, above-said were just some thoughts of my own and bits of sharing. I was reading the last probably 40 posts most either reply massage music malls, properties, ST girls etc, But no one mention abt LT like overnight? Happy 8 etc does it caterfor LT overnight, i was told my friend I can like noon til next morning for abt Sgd100 to 130++ depending. 1) Will be glad if I can get any advice or some recommendations. For me SYT its awesome but 20 + with good body are a turn on for me. Am also considering Balal now cos going in a few days time for 2d1n. Give abit of time, the same person who mention all those topics will surely help answer your LT queries. Enjoy. Nice place to stay. 50 buck net per night with good breakfast and the room was nice big and cosy. "A FR is to give reader an idea of what to expect, the pics and style of writing are to spice things up, to give more space for imagination, most important thing is we share and we enjoy." Thanks for the info and sharing. Will keep the code, if got last minute mission will need to use it. You pay about similar charges when booked using the Agoda Apps. yeah bro happy 8 etc all can take overnight. or technically a day. go book in the afternoon, they follow you till next morning around 9ish. my cewek stayed till 12. i guess they will stay longer if got chemistry. Seems like batman night life has died down much. Rumors say that Nono likes to play with his 2 or 3 girls in his room at Formosa masked as Batman. And with his black costume and mask sometimes also flies out around Nagoya's hottest spots to rescue girls.... Only rumours. But all bad people must be very careful: Justice is coming! AWAS!! I wish i can join him as Robin.